Southwest I-Corps | Does Business + Science = Safer Hospital Rooms? 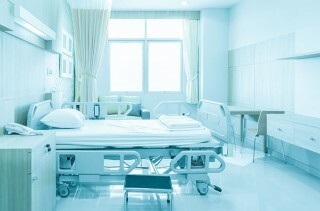 20 Jul Does Business + Science = Safer Hospital Rooms? Newswise — “Technology boot camp” is how Virender Sharma, a professor at the Texas A&M Health Science Center School of Public Health, describes his experience at Innovation Corps (I-Corps), a National Science Foundation (NSF) program that helps scientists bring their discoveries out the laboratory and toward the commercial market. Sharma’s work using ferrate ions—which are iron ions that have lost four or more of their electrons—as a disinfectant, has been shown to be extremely successful in the lab, and he was starting to wonder if it was time to make a commercial product.